Alyss Heart, heir to the Wonderland throne, was forced to flee through the Pool of Tears after a bloody palace coup staged by her murderous aunt Redd. 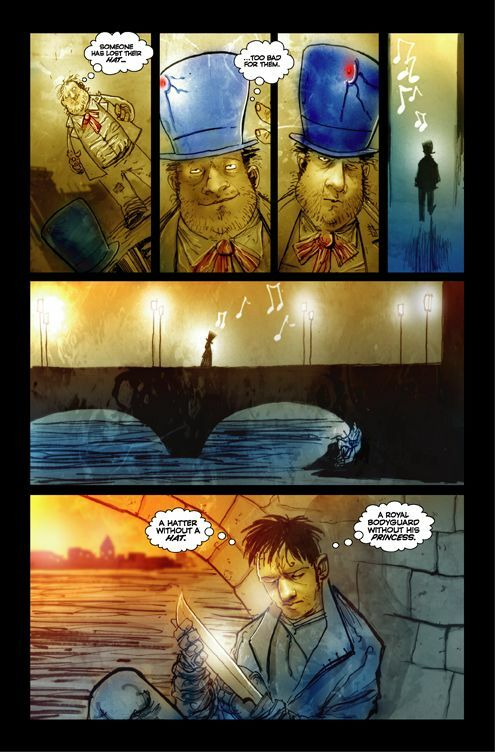 Lost and alone in Victorian London, Alyss is befriended by an aspiring author to whom she tell the surreal, violent, heartbreaking story of her young life only to see it published as the nosensical Alice' sAdventures in Wonderland. Alyss had trusted Lewis Carroll to tell the truth so that someone, somewhere would find her and bring her home. But Carroll had gotten it all wrong. He even misspelled her name! If not for royal bodyguard Hatter Madigan's nonstop search to locate the lost princess, Alyss may have become just another society woman sipping tea in a too-tight bodice instead of returning to Wonderland to fight Redd for her rightful place as the Queen of Hearts. Meet the heroic, passionate, monstrous, vengeful denizens of this parallel world as they battle each other with AD-52s and orb generators, navigate the Crystal Continuum, bet on jabberwock fights and travel across the Chessboard Desert. The Looking Glass Wars unabashedly challenges our Wonderland assumptions of mad tea parties, sleepy dormice, and a curious little blond girl to revel an epic battle in the endless war for Imagination. Okay, make more sense now? Yeah, definitely sounds like an interesting read. 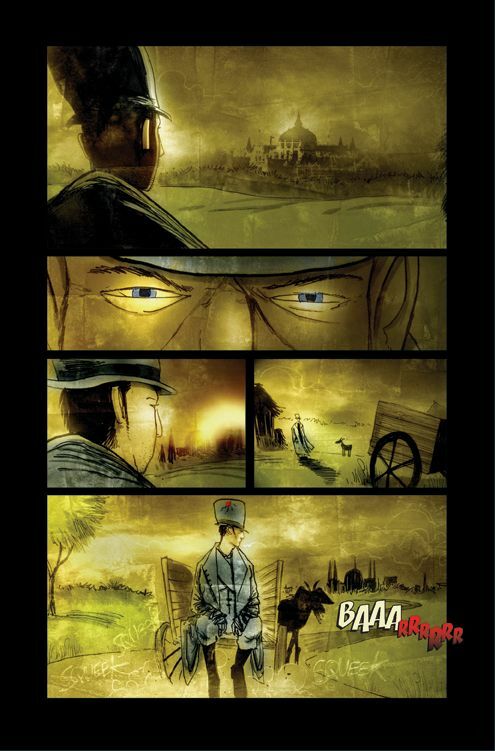 But I'm not here reviewing The Looking Glass Wars, I'm here reviewing the comic book based on the book, called Hatter M: The Looking Glass Wars . 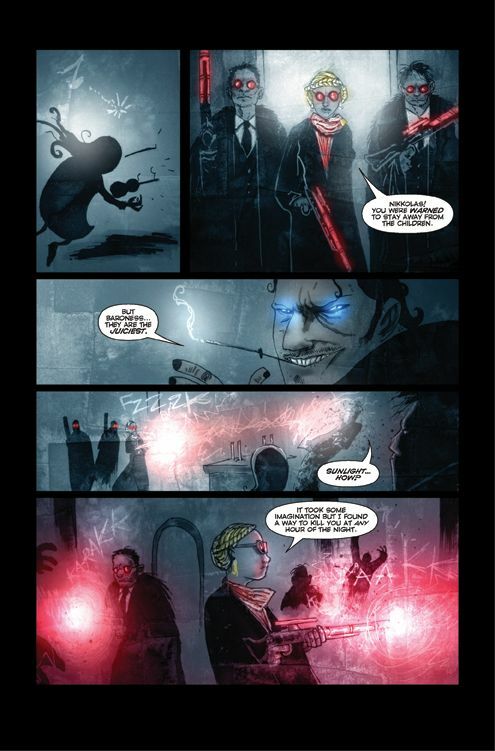 The comic features Hatter Madigan, who is one seriously badass dude. 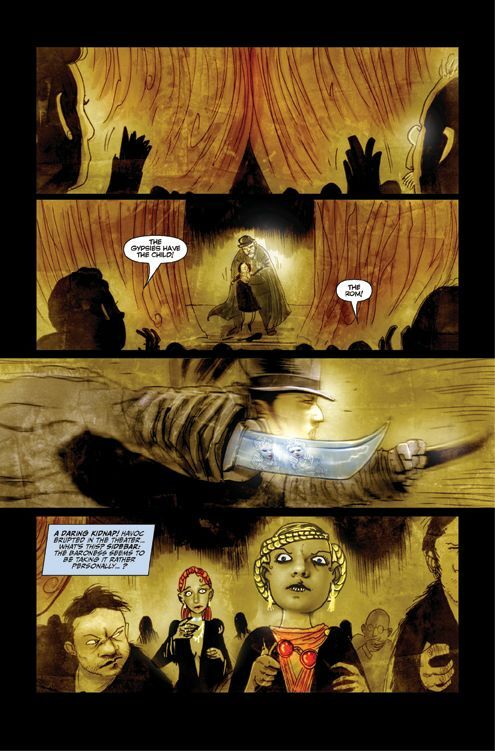 Besides having knives coming out of places I don't even want to know about, he's also got this top hat which "when hurled by his expert hand, instantly unfolds into a circle of polished blades". 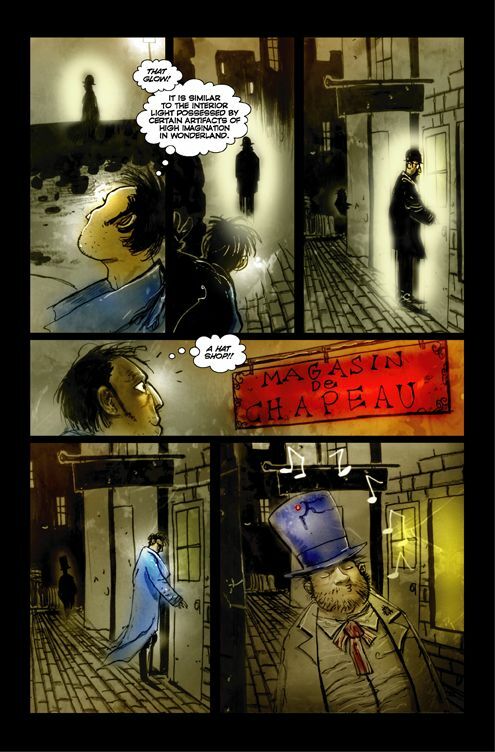 Unfortunatly, he looses his hat at the beggining of the issue. 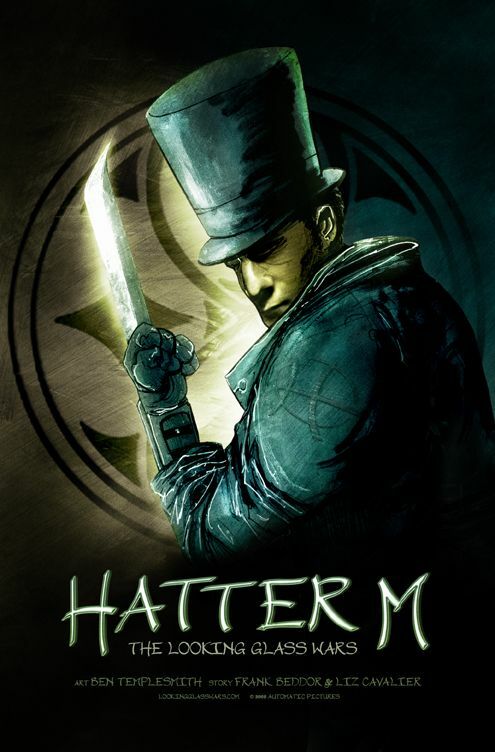 Hatter M is on a mission to find Princess Alyss, whom he swore to the Queen that he would protect. But now she is lost in our world, and he is lost as well. 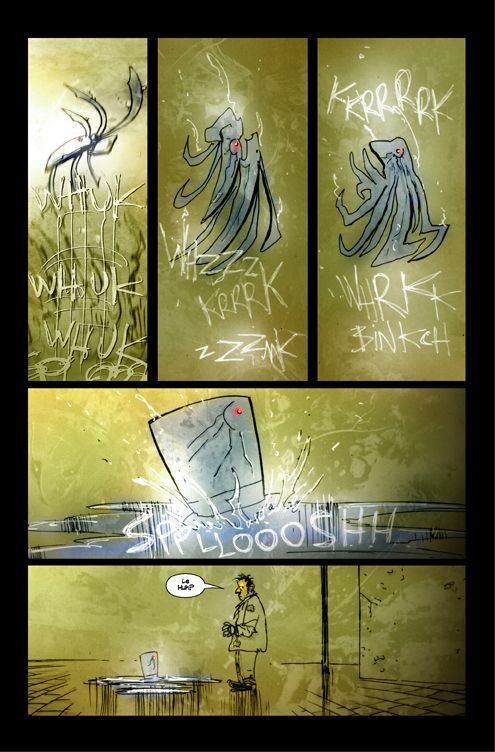 I guess that kinda thing is just bound to happen when you step through dimensional portals. 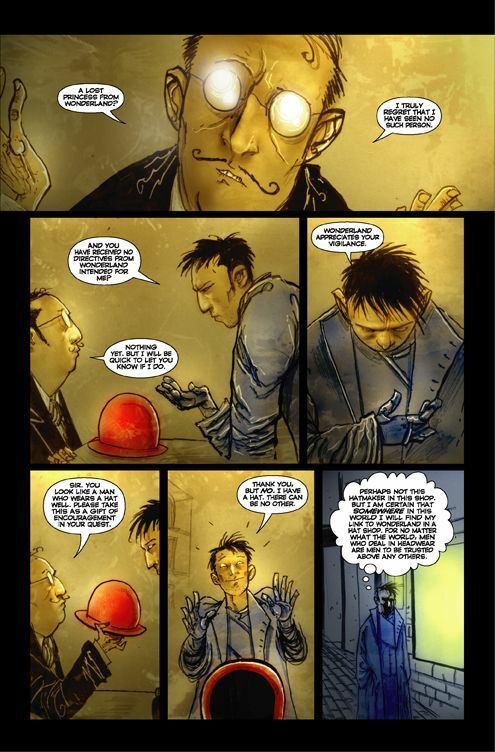 Thankfully, Hatter M has a unique ability to see wonder, shown to him as a glowing light. 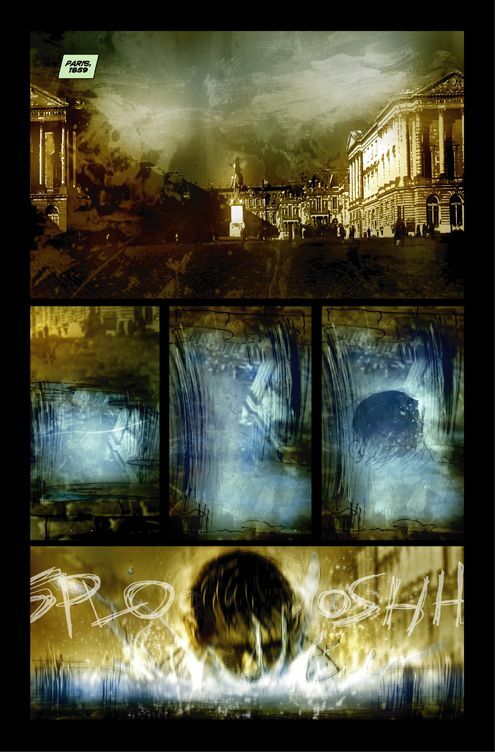 So our career soldier figures that all he must do to find Alyss is find the brightest glow, as surely Alyss has the strongest amount of wonder. But is he even close to the right place? The right time? So far I've read the first two issues, and man are they cool. They are dark and fierce, and like nothing I've ever read. 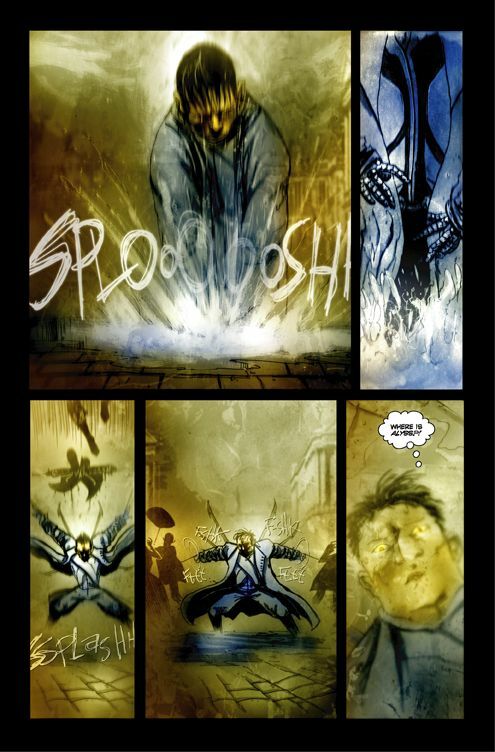 The first issue finds Hatter M looking for his hat, getting caught by police only to escape from the courtroom as he's about to stand trial, and fighting some madman magician who brings the dead back to life (aka zombies). 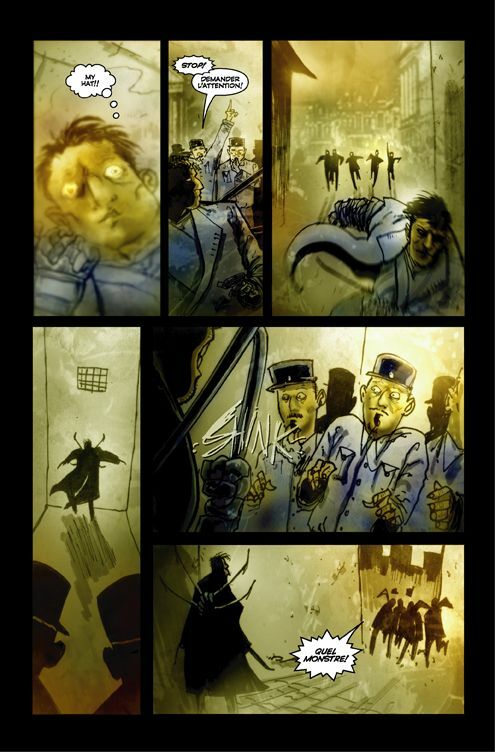 The second issue finds our expert bladesman locating a girl with a glow, only she gets kidnapped by gypsies before he can get to her, and he ends up having to fight not just the gang that took her, but a ferocious knife-wielding monkey as well. And who are these other people that want the girl? Are they friend of foe? 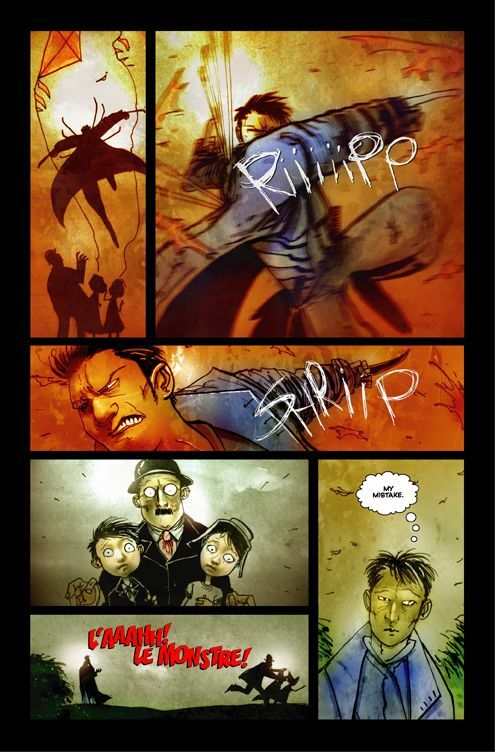 Besides an intriguing story, this comic also has some really great artwork drawn by Ben Templesmith. 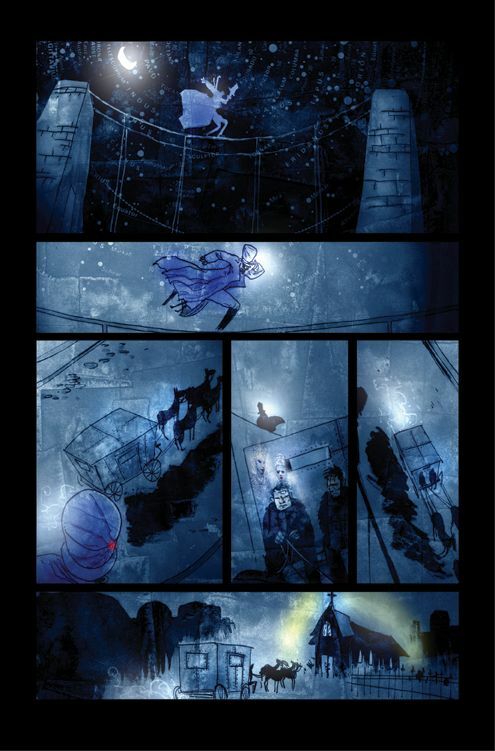 It has a unique kind of sketch-quality to it which reminds me of the original Teenage Mutant Ninja Turtles comics. I know it's not the same, but that's what it reminds me of, much more than say Spawn or any of the McFarlane books. 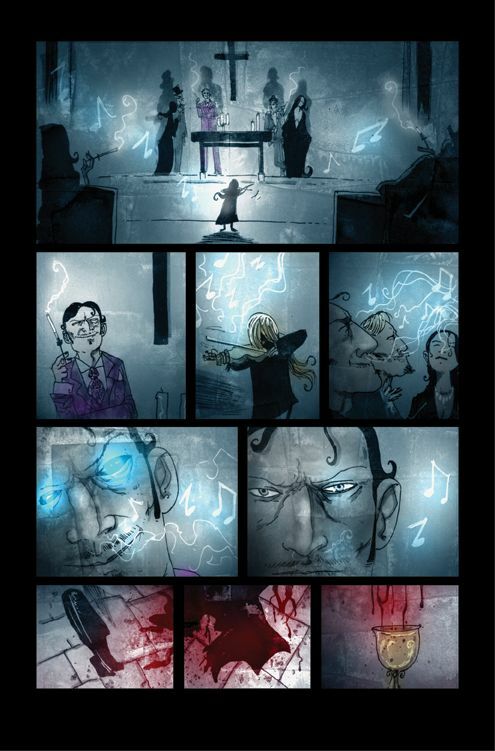 Those books look like they might have been inked by some kind of precision laser or something, whereas Hatter M looks more like it was done with watercolors. 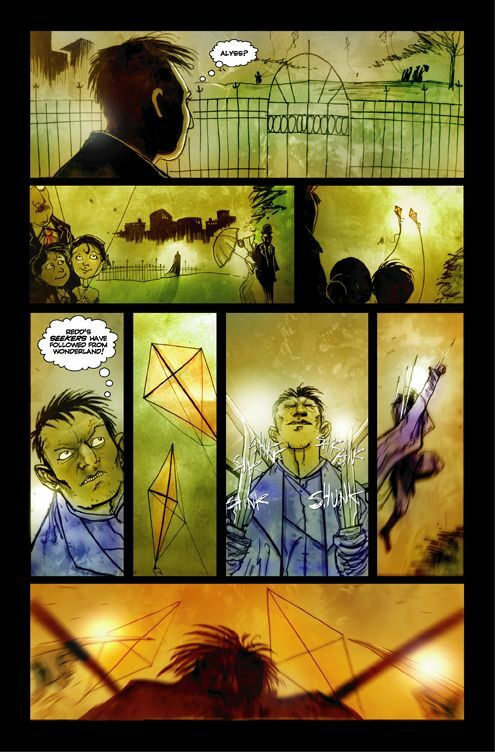 Definitely different from any comic I've read, but definitely very effective in engaging the reader into their universe by providing just the right sense of atmosphere. 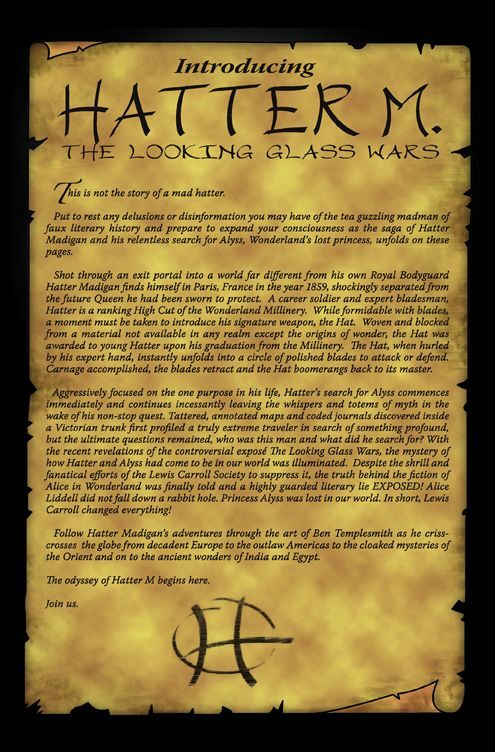 Hatter M: The Looking Glass Wars is bimonthly, which unfortunately means that it comes out every two months, not that it comes out twice a month. Other than that, the only other disappointing thing about his comic is that it's too short, especially for $3.99 an issue. It's been awhile since I've collected comics, but shouldn't they be closer to $2.50 or $3.00 an issue? If you haven't started reading this series yet then I'd recommend waiting until all the issues are out and then buying the graphic novel. Two months between issues to find out what happens is a long time to wait, and you WILL want to know what happens after you start reading. If you have already started in on this saga, then you don't need me to tell you whether you should pick up the next issue or not. 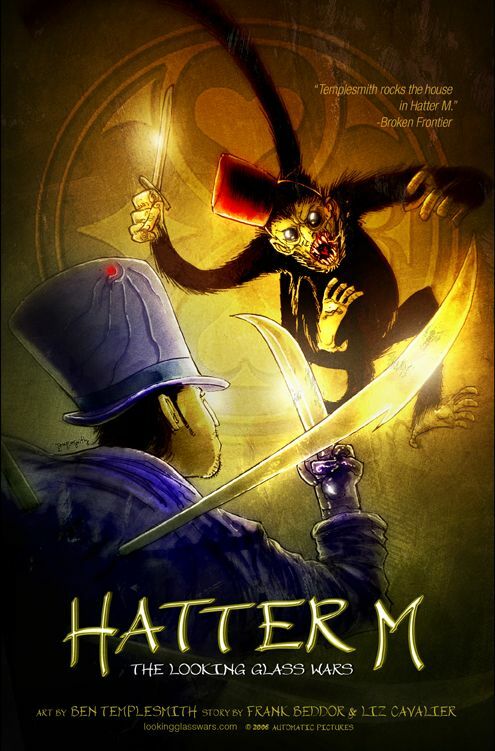 Hatter M: The Looking Glass Wars is published by Desperado Publishing, and the second issue, originally slated for March 8, will now hit the streets on March 15. The third volume was released, and it's just as awesome as the previous two issues. The novel is out too, and I'm currently in the middle of reading it (my wife got to it first, and she loved it). The fourth and final volume was released, and once again it's just as awesome as the previous issues. The only disappointment I had was that it didn't really fill in the blanks that were left in the book. 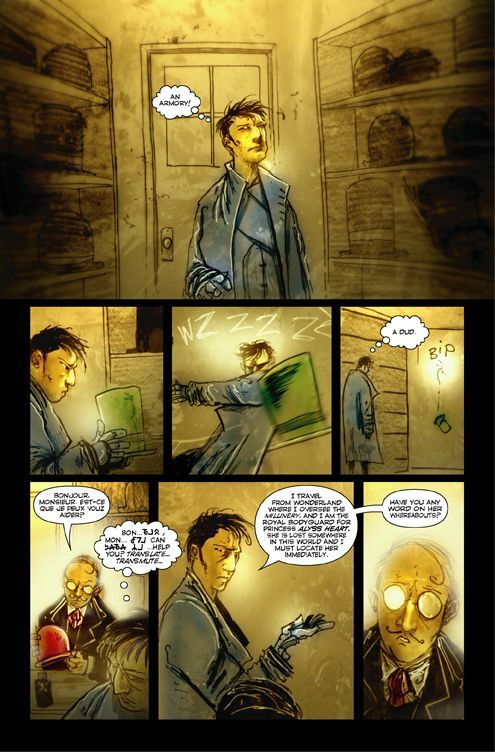 You discover that the plot of this comic series is really just a small, independent story that is not referenced to or even hinted at in the novel. I finally finished reading The Looking Glass Wars novel a short while back, as did my wife, and we both really enjoyed it. The story was easily immersive, and it doesn't take long at all to become attached to the characters.